Hearing Evaluation & Hearing Technology The Office of Special Education Programs has two letters of clarification regarding the responsibility of state Part C early intervention programs related to provision of audiological evaluations and assistive technology, including hearing aids and also applying to FM systems. Early Intervention Network: Supporting Linguistic Competence for Children Who are Deaf or Hard of Hearing This free online network is designed especially for early intervention professionals. It provides one centralized place to access evidence and recommendations to guide your practice in supporting language and communication development for young children who are deaf or hard of hearing. The network also provides an opportunity to see what early intervention providers are doing to implement these recommended practices. 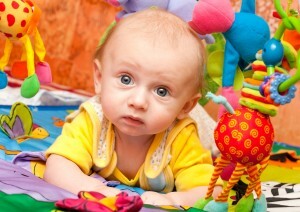 Visit the network and find out about the 5 evidence-based factors identified as critical to early language acquisition. Gain the knowledge and skills you need to effectively promote linguistic development for young children who are deaf and hard of hearing. Track a Listening Child (TLC) is available on the Cochlear Corporation website. This comprehensive tool helps you track your child’s progress and ensure they are achieving milestones in a timely manner. TLC has highlighted the major skills required to reach age appropriate spoken language, or each child’s own potential, by identifying specific milestones in audition/receptive language, expressive language, speech, pragmatics/self-advocacy and cognition/general development. 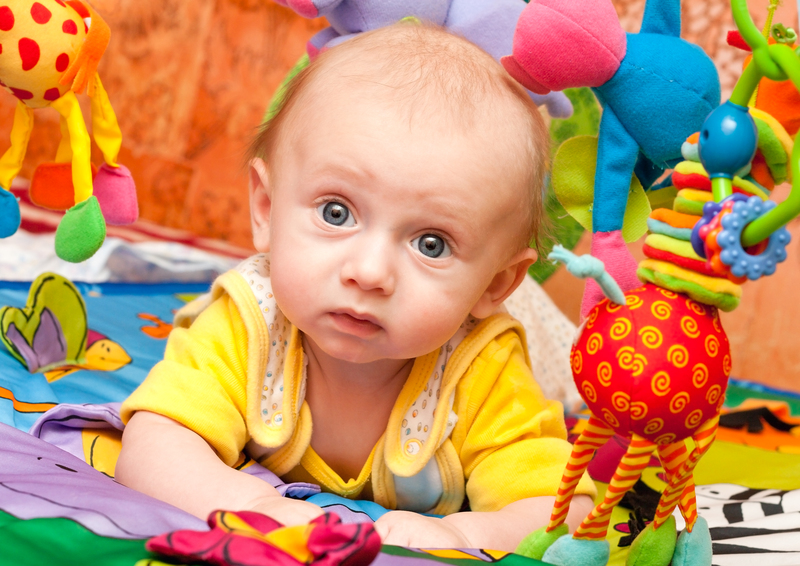 Sound Foundation for Babies is the companion training program to Track a Listening Child. This resource is designed for children of 12 to 24 months of age, who receive their cochlear implant around 12 months of age. [Also applicable to children receiving hearing aids in early childhood] The Sound Foundation for Babies series consists of 40 self-contained sets of goals in the areas of audition, receptive language, expressive language and speech as well as a song and a story book. 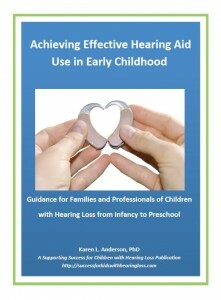 This comprehensive resource provides parents, with children that have a hearing loss, guidance in developing their child’s spoken language through listening. The activities included in this habilitation series are designed to fit easily into everyday life as well as provide the knowledge and understanding of the theory behind the goals identified each week.